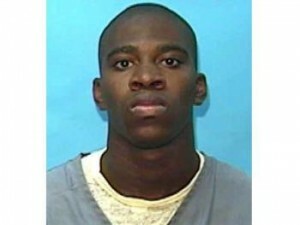 Terrance Graham was 16 in 2003 when he robbed a restaurant in Florida. Another teen with Terrance beat the manager with a steel bar. Terrance admitted the armed burglary and attempted armed robbery charges and was sentenced to one year in jail and three years on probation. The next year, when he was 17, he and two friends, both 20, committed a home-invasion robbery. In 2005, he was sentenced to life in prison without the possibility of parole for violating his probation. In 2009, the U.S. Supreme Court agreed to hear Graham’s appeal. His argument was based on the Eighth Amendment which prohibits cruel and unusual punishments. In May, 2010, in a 6 to 3 decision, the Court agreed stating that “A life without parole sentence improperly denies the juvenile offender a chance to demonstrate growth and maturity. . . .A young person who knows that he or she has no chance to leave prison before life’s end has little incentive to become a responsible individual. . . .The Constitution prohibits the imposition of a life without parole sentence on a juvenile offender who did not commit homicide.” The Court relied in part on well-established research that teenagers are less blameworthy than adults and have a greater capacity for rehabilitation over time. Graham will be resentenced in trial court, possibly by the same judge who imposed the 2005 sentence. The Graham decision is limited to non-homicide cases. In other words, in states that have laws authorizing life without parole sentences, they may be used only when a juvenile commits a murder. In all other cases, the juvenile can be sentenced to prison for life but with the possibility of being paroled at some point. Parole eligibility is determined under state law. This decision has no effect on juveniles who commit murder. There are approximately 129 juvenile offenders in the United States affected by the Graham decision. 77 are in Florida while the rest are in 10 other states. 37 states, the District of Columbia and the federal government have laws allowing life without parole sentences for juveniles convicted of non-homicide offenses. They are now unenforceable. What do you think of this decision? Is there a difference between a minor’s mental capacity and an adult’s? Is the teenage brain fully developed to appreciate the consequences of criminal behavior? In cases of 13-year-olds sentenced to life in prison without parole, is there a possibility that he or she could be rehabilitated and eventually paroled? Can you think of a situation where a teen breaks the law, without committing murder, and deserves a life sentence without the possibility of parole?